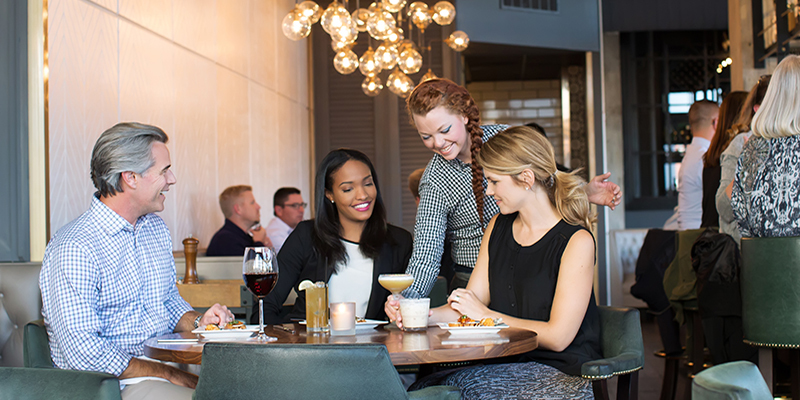 Whether in search of breakfast, lunch or dinner, Kansas City offers a variety of local, fast casual dining options available for meeting and convention attendees near the Kansas City Convention Center. 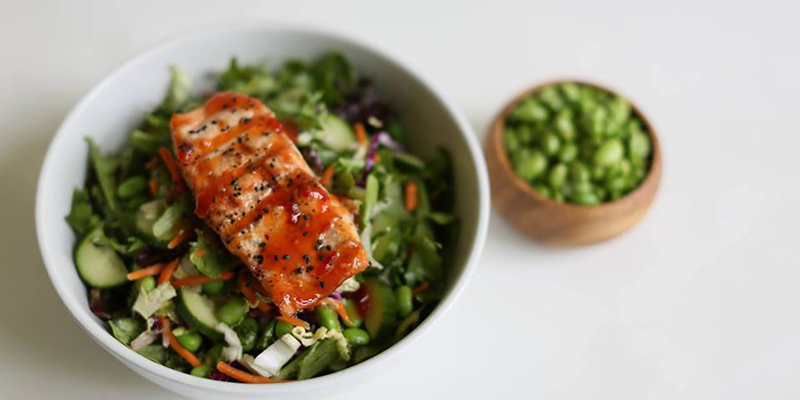 The Mixx: Freshness reigns supreme at this salad, soup and sandwich shop—a healthy alternative to typical out-of-town dining. Tip: Order ahead to skip the line. County Road Ice House: Attendees can sample KC ‘cue right in the heart of the Power & Light District thanks to smoked delicacies from world-famous Joe’s Kansas City Bar-B-Que. Meshuggah Bagels: Meshuggah is an ideal breakfast or lunch stop known for its authentic flavors and classic bagel accompaniments, such as lox, smoked salmon, schmears and more. Made in Kansas City Café: Your group can grab coffee and pastries on the go or post up to catch up on work in this hip coffeehouse that also carries locally made goods and souvenirs available for purchase. 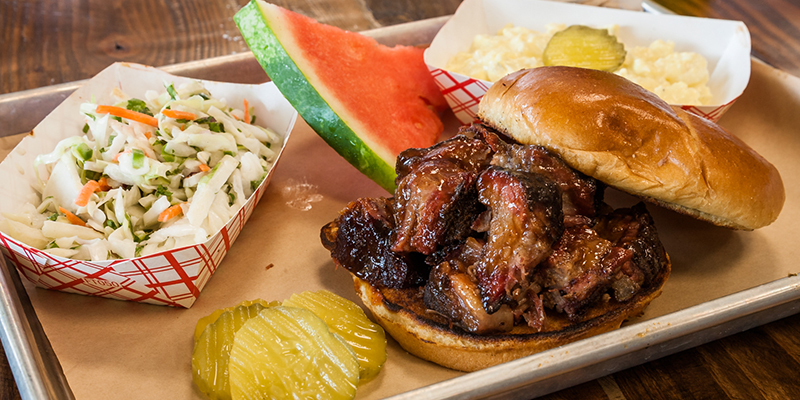 Plowboys Barbeque: A bustling barbecue spot with numerous accolades and an expansive menu that serves as an excellent entry into Kansas City’s signature cuisine. Spin! 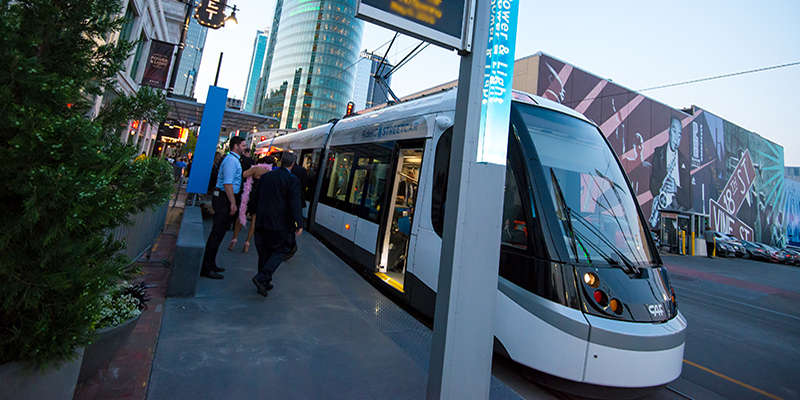 Neapolitan Pizza: Located in Crown Center—which is adjacent to Union Station at the end of the streetcar line—Spin! is popular for its delicious, thin crust pizzas and other Neapolitan favorites. Mildred’s: Breakfast sandwiches and pastries keep diners’ appetites at bay while espresso flows freely in this expansive Crossroads Arts District café. 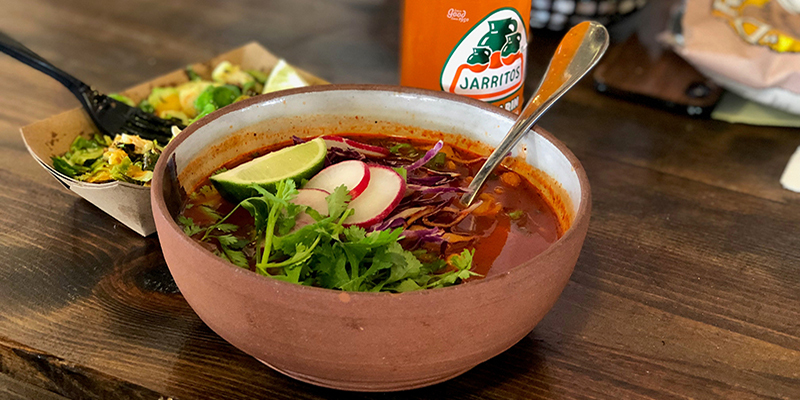 The Bite: Visitors and locals alike love this City Market hangout that creatively combines Mexican and Korean flavors in sandwiches, soups, starters and more. 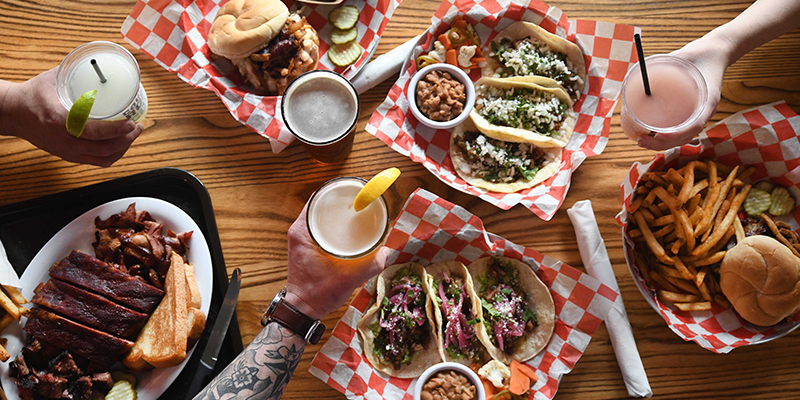 Grinders: Based in the funky, unrefined East Crossroads, Grinders touts a menu that’s as unapologetically eclectic as its décor, with everything from calzones and wings to salads and burgers. Ruby Jean’s Juicery: Smoothies, shakes, juices and other grab-and-go snacks make Ruby Jean’s one of the healthiest Downtown dining options. Papa Keno’s Pizzeria: With quick service and jumbo slices carved into manageable pieces, Papa Keno’s is a must for any convention-goer looking for pizza in the Crossroads. 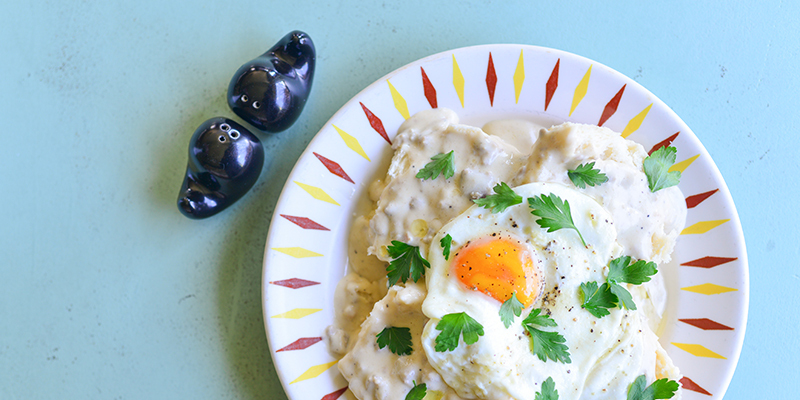 Happy Gillis: Perfect for morning or midday meals, Happy Gillis is a friendly café with fresh, seasonal fare in the Columbus Park neighborhood. Arthur Bryant’s Barbecue: Convention and meeting travelers often make the trek over to the 18th & Vine Historic Jazz District for a taste of Kansas City’s most tenured barbecue provisioner. T. Loft: While the Country Club Plaza is ideal for client meetings and other upscale situations, T. Loft remains faithful to its healthy, quick-service model with nutrient-dense bowls, salads and juices. The Rockhill Grille: Elevated American plates star at this trendy restaurant in the Crossroads. Lunches include savory sandwiches and artful salads while dinner is reserved for more decadent options like duck confit, blackened cauliflower and ribeye. Scott’s Kitchen: Low- and slow-smoked Kansas City barbecue located near the airport, which makes for good eating as soon as your attendees arrive or just before they depart. 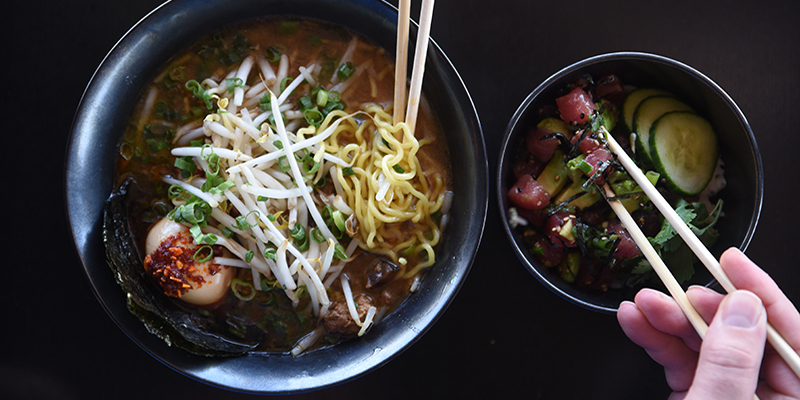 Bōru: Located in KC’s Waldo neighborhood, Bōru specializes in ramen, bao and rice dishes—and also offers a killer happy hour menu. Pilgrim Coffee Co.: For meetings that take place in Overland Park, attendees can swing by Pilgrim Coffee Co. for their daily pick-me-up as well as pastries, burritos, protein balls and other fuel to keep them going.